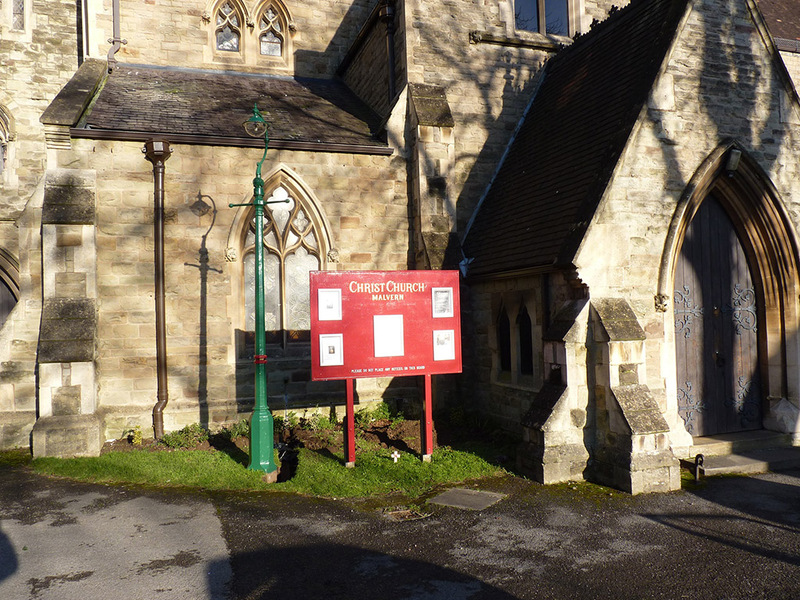 The parish of Christ Church lies to the east of the town centre of Great Malvern in the Barnards Green area. Great Malvern began to develop into a popular spa town in the early 19th century. In 1860 the new Great Western Railway station was opened and the impressive Imperial Hotel (now part of Malvern St. James’ School) was built to accommodate the many Victorian visitors who were coming to Malvern for the water cure. A pleasant tree lined approach from the town to the station and the hotel was laid down and named Avenue Road. By 1865 the farmland below the railway line had been sold to provide housing for the area. A small temporary prefabricated church was erected next to the Parish School in Mill Lane (now Clarence Road) in 1866 to serve the people moving into this rapidly expanding area of the town. The Rev Francis William Davenport was put in charge of this church and his ministry was so successful that it was soon decided to erect a permanent building. 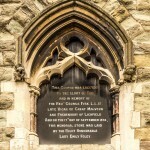 In 1873 Lady Emily Foley donated a piece of land in Avenue Road on which to build the new church. This fine new church was designed by T D Barry & Sons of Liverpool to seat 700 people at a cost of between £8000 and £9000. Somewhat unusually the foundation stone, laid by Lady Emily Foley on 17th September 1874, was placed part way up the south side of the tower. 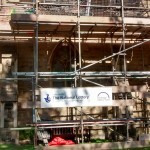 The finished building was dedicated as Christ Church by the Bishop of Worcester (Dr Philpott) on 28th December 1875. 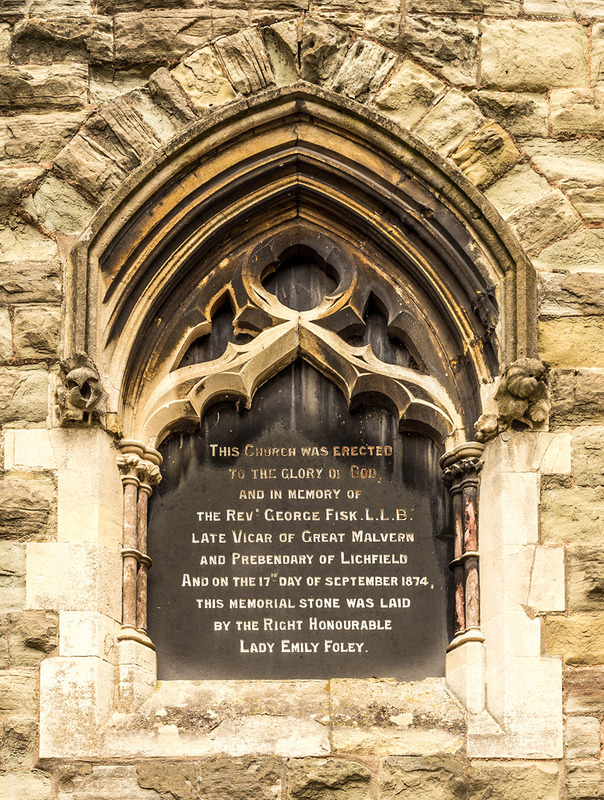 It was to serve as a memorial to the late Vicar of Malvern Priory, Rev George Fisk, LLB.The Rev F W Davenport, the first Vicar, lived in the Vicarage which had been built on land to the north of the church. This was sold, in 1937, to the Girls’ College when the Vicarage moved to a large Edwardian house in Christ Church Road. In 1885 St Andrew’s “in the Peachfield” was built as a memorial to Edward Chance of “Lawnside” and became a daughter church of Christ Church. 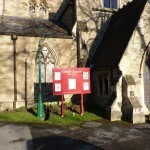 It is now serves as the church of a separate parish. By 1907 Avenue Road had been continued on down to Barnards Green. Further housing development in the area brought about the need for a new church and St. Mary’s, Sherrards Green, was built as a Chapel of Ease to Christ Church in 1958 and the Parish of Christ Church with St Mary’s was formed. In September 2014 St Mary’s Pickersleigh became its own separate parish and Archdeacon Robert Jones was installed as Incumbent of Christ Church and Canon Harold Goddard as Associate Priest in Charge of Christ Church in May 2015. We are very proud of our newly restored noticeboard and the gas lamp has recently been restored to its former glory which we are delighted with, our light is shining outside as well as in! 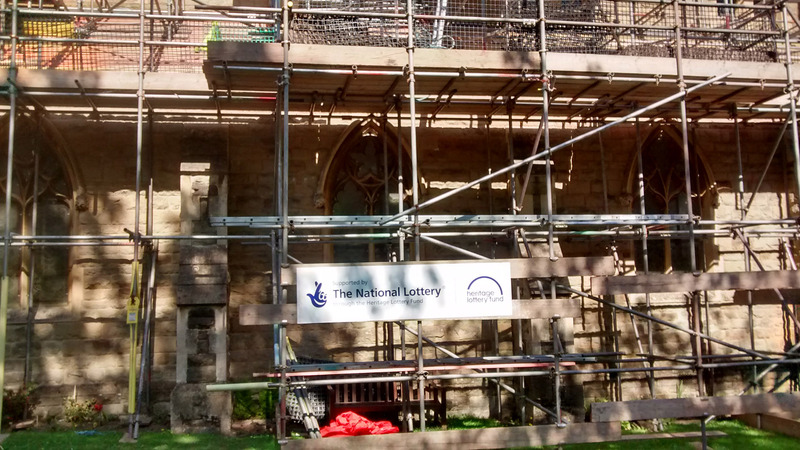 And in August 2015 we were delighted to be awarded a Heritage Lottery Fund Grant which has enabled us to commence work on our replacement roofs. 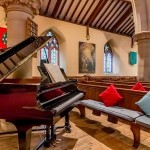 For the last few years Christ Church has since been transforming itself in to a centre for Music and the Arts. We are greatly encouraged by the impressive support it has continually received from audiences at the events. Concerts take on an intimate, almost ethereal feel, due to the outstanding acoustics, which cannot be replicated in a modern building. Internationally acclaimed musicians perform at this unique venue, including cellist Michael Jones and Spanish guitarist Agustin Maurin, who recently thrilled audiences with their concerts. 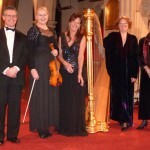 Triple harpist Robin Ward from New Zealand gave a magnificent performance. 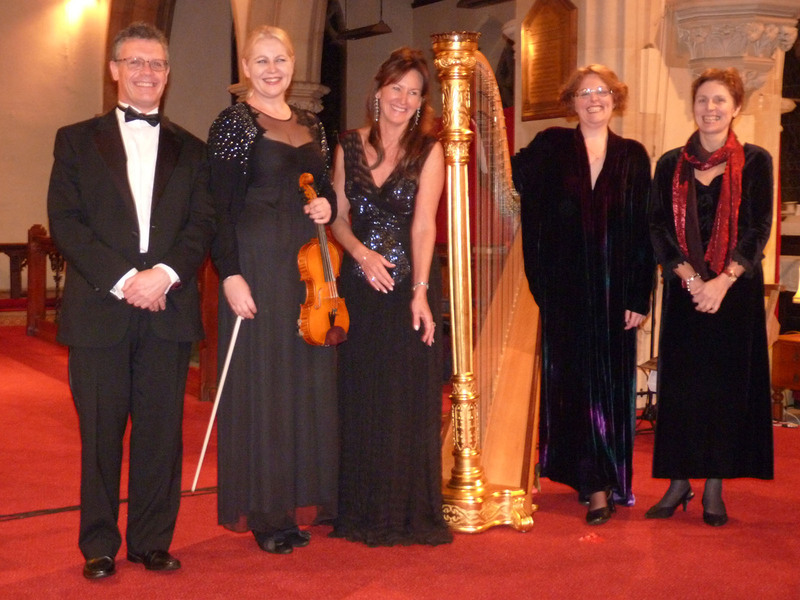 The Worcestershire Symphony Orchestra recently gave a brilliant ‘Summers Evening Concert’. A large and very appreciative audience enjoyed a vibrant performance from this highly accomplished orchestra, including some beautifully expressive solo playing. The Orchestra, and conductor Keith Slade, received rapturous applause. Our new demountable staging will be installed by the end of 2015, giving musicians and drama groups considerable flexibility for their performances. 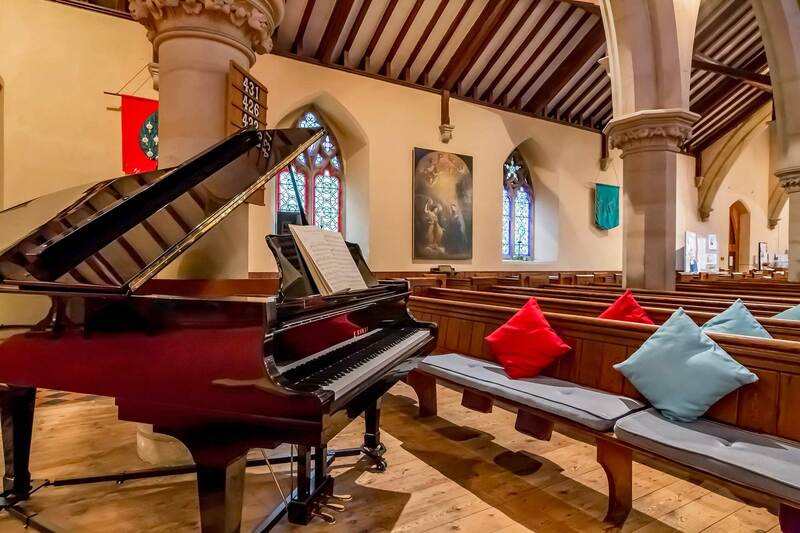 These improvements, together with the addition of a new Kawai Grand piano will enable Christ Church to deliver even more impressive performances. An outstanding Malvern venue with ample parking and easy access, we are conveniently situated opposite Great Malvern railway station, and stand on a major bus route.